New Delhi, July 23, 2018 : LAVA International Limited today announced the launch of LAVA Z61. Z61 carries forward the legacy of LAVA’s Z series smartphones with its stylish design and flagship camera features. The new Z61 offers ‘Sharp Click’ technology, allowing users to capture even the smallest details; providing unprecedented photography experience. Powered with 8MP autofocus rear camera, 5MP front camera (with Screen and LED flash) and an improved Bokeh Mode, Z61 provides a high-end camera experience to its proud owners. 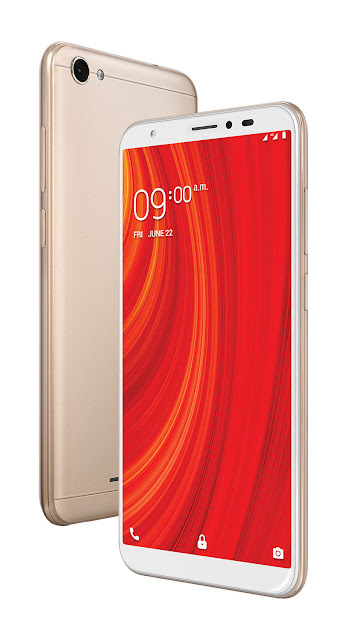 Targeted at consumers looking for a complete smart phone; Z61 is an 18:9 full-screen smartphone with best-in-class design, 1GB RAM, 16GB ROM, 3000MaH battery priced at Rs. 5750/-. This phone will be available in more than 80,000 retail outlets in Black and Gold color options. Z61 variant with 2GB RAM will be launched in August, 2018. Z61 design and technology elevates the smartphone experience, with 5.45” HD+ Full Lamination screen along with Corning Gorilla Glass on a 2.5D Curve. It is one of the sleekest smartphones in its category with 8.65mm thickness. The smartphone’s laser finish design makes it look slimmer, enhancing its premium style quotient. Supported by Android™ Oreo™ (Go edition) for 1GB and Android™ 8.1 Oreo™ for 2GB, Z61 provides a powerful experience. The 3000 mAh battery boosts performance, lasting up to 1.5 days with a single charge. Further, the battery is supported with AI technology - which not only monitors phone’s battery consumption but also shuts down apps running in the background that the user hasn’t touched for a while. Lava Z61 offers ‘Language’ shortcut in the home screen, allowing users to change system language effortlessly into their respective native languages; so that they can communicate in the language of their choice. Further, it provides an option to users to read the SMS in their own language.